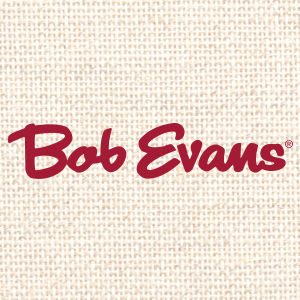 A massive recall of Bob Evans sausage after some products were found to be contaminated. Around 46,734 pounds of the raw products in question were produced on Aug. 1 according to the company’s website. Pieces of hard plastic were found in certain packages of Bob Evans Pork Sausage and in other sausage that is sold under store names. • 12-oz overwrap trays labeled “BOB EVANS MAPLE PORK SAUSAGE LINKS.” These products contain a Use by date of Oct. 16, 2018 or Oct. 19, 2018, and Lot Code of 8213. • 12-oz overwrap trays labeled “BOB EVANS BROWN SUGAR & HONEY.” These products contain a Use by date of Oct. 16, 2018, and Lot Code of 8213. • 12-oz overwrap trays labeled “FRESH FROM MEIJER MAPLE FLAVORED SAUSAGE LINKS.” These products contain a Use by date of Sept. 06, 2018, and Lot Code of 8213. • 12-oz overwrap trays labeled “GIANT EAGLE MAPLE PORK BREAKFAST SAUSAGE LINKS CARAMEL COLOR ADDED.” These products contain a Use by date of Sept. 10, 2018, and Lot Code of 8213. • 12-oz overwrap trays labeled “SCHNUCKS MAPLE RECIPE BREAKFAST SAUSAGE.” These products contain a Lot Code of 8213.